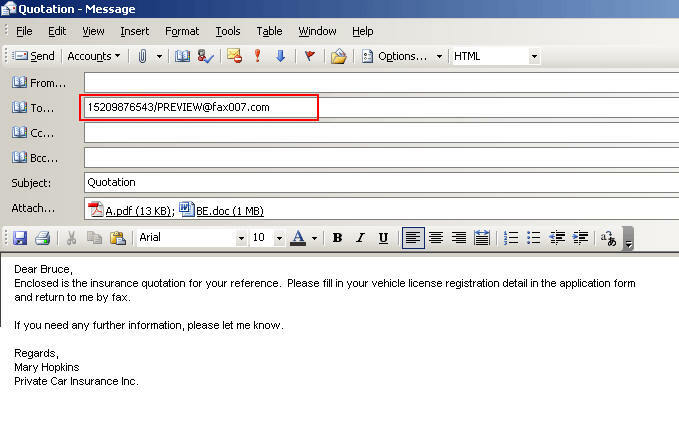 After it is sent, no matter the fax is successfully or not successfully sent to recipient; Fax007 will return result notification to your email address. You can also periodically press the receive (check for mail) button in your email program to refresh the inbox for new mail. Returned message provides three choices - Preview, Release, Cancel and you can choose any one. No matter the fax requested for preview is processed or not; Fax007 will return result notification to your email address. After preview you must either click the Release button to confirm to send or click the Cancel button to cancel and do not send the fax.